The best thing about Black Panther is that much like its fictional setting of Wakanda, it stands alone. It is a film that depicts its hero’s journey, filled with all the challenge and conflict that we’ve come to expect but is unencumbered by the weight of the Marvel Cinematic Universe at large. 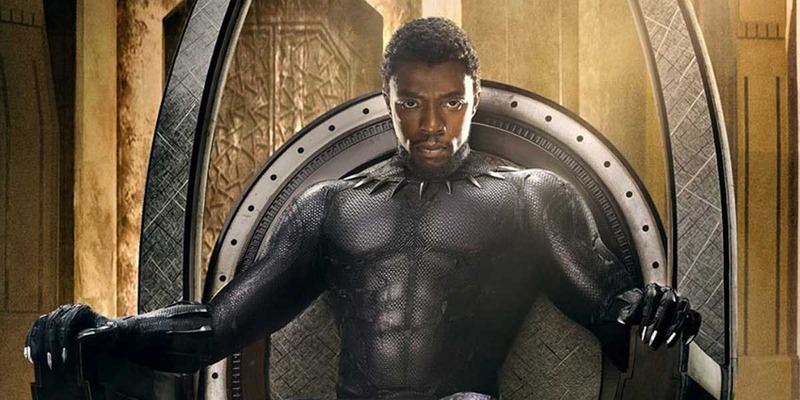 Aside from the involvement of some minor players from Marvel’s stable of films, Black Panther’s story is free from intrusion and as such, at liberty to tell a dynamic tale that explores not only the rise of King T’Challa but also social and political territory that has heretofore been uncharted in the world of superhero films. The result is a movie that is among the best of its genre and certainly the best Marvel film in years. At the heart of Black Panther is T’Challa; a warrior king who is thrust onto the throne after the death of his father in Captain America: Civil War. T’Challa’s powers derive from a mystical herb, but the title of Black Panther is ceremonial, passed down from king to king, along with the responsibility of both protecting and governing a country that to the rest of the globe, is a third world wasteland. In reality, however, it is a technological marvel, hidden by cloaking devices and light years ahead of any nation on the planet. Oh, and they also possess massive quantities of Vibranium, the world’s most powerful substance and the stuff of which Captain America’s shield is made. The secluded setting of Wakanda offers the film the opportunity to deal with the concept of globalism vs. isolationism. Recognizing that Wakanda can only continue to exist, thrive and protect itself if it remains a secret, many in the king’s inner circle oppose the notion of disclosing the truth about their homeland, even when it means turning a blind eye to the fact that their technology can benefit mankind and ease the suffering of millions. The parallel to the current real life anti immigration sentiment in global politics that has spurred talk of walls and deportations is not lost. Wakanda’s “wall” however, is much more technologically advanced and not only exists for its own protection, but ostensibly, for the protection of others should its secrets fall into the wrong hands. Enter the film’s big bad, Erik Killmonger, a man who seeks to rise to power in a land where he has never lived, but is connected to by birthright. Played expertly by Michael B. Jordan, Killmonger is at once rageful and sympathetic. His desire to bring Wakanda to the forefront of the global stage is in part motivated by revenge and in part by a misguided desire to effect social justice by force. Chadwick Boseman’s Black Panther is the perfect target for his fury. Played with a calm deliberation that at times reflects a wisdom beyond his years, Boseman’s T’Challa is confident that although he is a king of little experience, he is guided by a moral compass that calls into question everything he’s ever known. When the two clash, it’s more than just good vs. evil, it’s a battle of ideologies with the fate of the world and the combatants’ personal convictions hanging in the balance. Happily, Black Panther does not rest with exploring geopolitical issues in the framework of its fantasy setting, but also extends its reach into the power and vitality of women as a catalyst for change. Wakanda’s lethally skilled fighting force is comprised entirely of women and they are much more than background characters and window dressing. Lupita Nyong’o is remarkable as the independent, Nakia, serving not only as T’Challa’s love interest but as his conscience, willing to work outside the bounds of tradition if it means making a difference. Equally impactful and downright fierce, is Danai Gurira as Okoye, the leader of the warrior women known as the Dora Milaje. The push and pull between her loyalty to tradition and the obligation to do what is right is masterfully conveyed, as is her aptitude with a spear –and a wig– in a scene that is one of the film’s most entertaining action sequences. One regret is in the lack of screen time afforded to Florence Kasumba as Ayo. Given her powerful presence in Civil War, even if only for a moment, I was hoping to see her do more than just fight. This was a missed opportunity that hopefully subsequent films will rectify. Without a doubt however, shining most brightly is breakout star Letitia Wright, who plays T’Challa’s tech savvy, witty and incredibly funny sister, Shuri. Wright gets some of the best lines in the entire film and is an absolute joy to watch. Her interplay with Boseman is a thing of beauty and her comedic timing is impeccable, effortlessly stealing nearly every scene in which she appears. Watching her grow as part of the Marvel Cinematic Universe, but more importantly, as a fixture of the Black Panther mythos is something to look forward to. Rounding out the film are excellent performances by Forrest Whitaker, Angela Bassett, Daniel Kaluuya, Martin Freeman and a live action version of Andy Serkis (imagine that!). The cast, as whole gels perfectly into their roles as denizens of the hidden technotropolis of Wakanda and is just fun to watch. It’s evident that everyone simply had a good time making this film and that translates on screen. If there can be any criticism of Black Panther, it is that it falls a little short on character development of its villain, Killmonger. There is some exposition to help fill in the gaps, but he’s a complex character and a bit more on his backstory would’ve helped complete him. Also, being a Marvel film, the final act of course gets bogged down with a CGI laden action sequence that has some unnecessary elements (“battle rhinos”, anyone?) and goes on for just a wee bit too long. Yet, none of this tarnishes the overall quality of the film and are elements that can be easily corrected or pardoned. In an era where Hollywood has been accused of whitewashing stories that have diversity at their core and where isolationism and walls are frighteningly commonplace topics of discussion, Black Panther is tearing down barriers. Its message is not afraid to strike at the heart of the old guard, while celebrating everything that is good about coming together. It’s about making the superhero genre more than just web-slinging and building leaping. Other hero franchises should be paying attention, for as T’Challa himself as said, “It’s time to show the outside world who we really are.” Who are we to argue? Excellent review. Spot on as usual. My first thought when I saw the rhinos 🦏 join the fight was Rock Steady and Bebop. LoL I felt the weakest character was the CIA agent. Maybe they wanted him to be a weak character inorder to not distract from the main cast. W&C does it again.